Transform your SAP Business One data with Sharperlight Reporting and Dashboards. 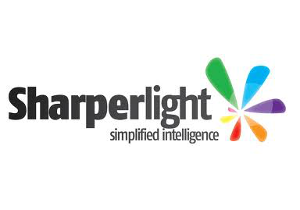 Sharperlight for SAP Business One is a low maintenance, highly flexible reporting and business intelligence platform. Sharperlight provides live, out of the box access to SAP Business One and 3rd party data across an organisation. Sharperlight provides an integrated set of tools and connectors to easily build, extend and simplify intelligence in your SAP Business One database. Create instant dashboards, report packs, integration and consolidation of data from SAP Business One. What sets Sharperlight apart from other reporting solutions is that reports and dashboards can be built easily, without the need for specialist knowledge of SAP Business One database structure. Data can be consolidated from multiple sources such as databases, spreadsheets or the web. Reports can be created quickly in Excel or the web on any device without specialist report writers or IT involvement. Create data entry forms, either as web forms or in Excel to save data back to the SAP database. This is helpful when updating from an external source, such as budgets.